Hmm… well I’ve been taking a SQL class, so I’ve pretty much been reading the course lessons on this subject. If I can organize my time this week, that may be fodder for my other blog. I’ll see. I had to ask my husband (sometimes faster than google) what SQL was! I would be lost… And doodling in the margins…. I’m not much of a stickler for time where the challenges are concerned – you can post anytime during the fortnight that it runs! Thank you so much for your entry and that wonderful bit of poetry. 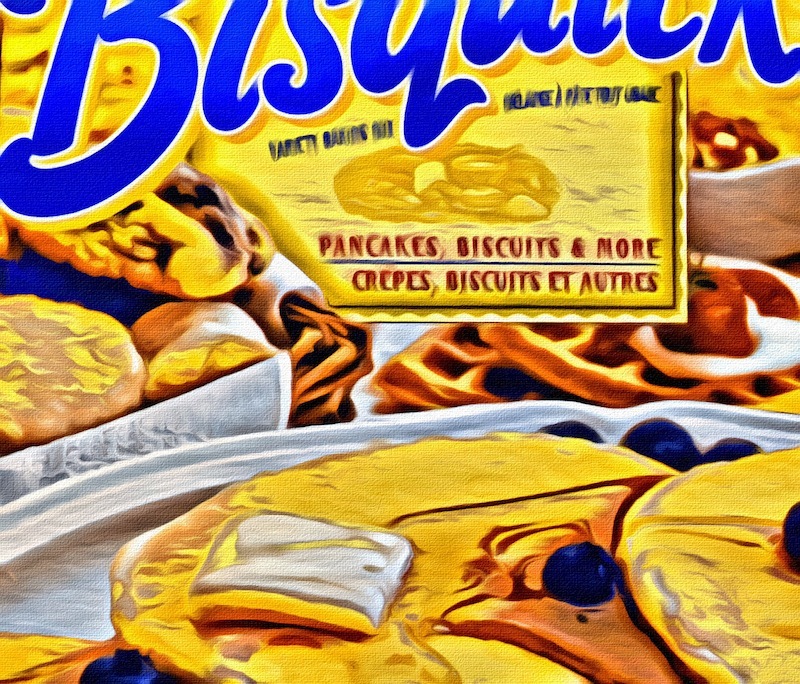 Personally, I’m thrilled you featured Bisquick!! I have a few great go-to recipes using it–like Coconut Muffins (yes, I’ll share if you’re interested). This week is almost too easy for me! Here you go. I might participate from my tumblr in future – more versatile! I especially like Andy and Preston! Thanks for your entry.